As world population continues to grow and the global demand for food also rises in tandem. The ever rapid increase in this demand, has expanded the labour shortage in the agricultural industry as well. More and more, agricultural sectors are turning to automation as a solution to hedge this labour shortage and keep up with demand. Anstetics are proven specialists in providing modern flexible automation control and robotic systems to all facets of the agricultural sector. From field to store, we can assist in all aspects of the harvest, processing, and packaging of your raw goods to help you get to market more efficiently. The Internet of Things (IoT) has started to make it’s way into the agriculture industry, and as this pushes forward Anstetics can help you setup and bring your real time data monitoring systems online so that you can utilize that data from the field, the barn, the tractor, or the climate and leverage it to make smarter business decisions. We can assist you in providing and upgrading automated processing systems like sorting, washing, material conveyance systems, and trimming. In addition to processing we are specialists in automated packaging and handling systems such as robotic palletizing, boxing, stacking, wrapping and labeling. Increasingly, greenhouse automation has become a prime upgrade to any greenhouse, as they are relatively controlled environments in comparison to the outdoors. Whether you are looking to implement a robotic system with vision, climate controls, packaging, energy or water management, within your greenhouse, all of these systems are within or realm of capabilities. Arguably, one of the most important devices in agricultural apart from the product is data. Things like temperature, feed rates, chemical composition, images, product counts, or barcodes to name a few, may need to be tracked, monitored or utilized to make decisions on the fly and we are data specialists in data tracking, monitoring, and analysis and have the ability to integrate these observations directly back into your automated processes for real-time system adjustments. 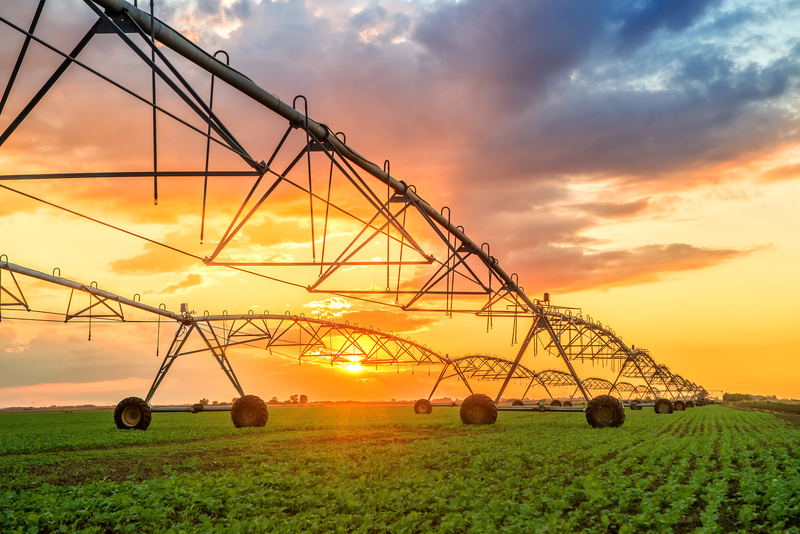 Smart connected farms and agricultural facilities are the future and we can help you stay ahead of the curve and gain that competitive edge!